One of England's oldest canals, Chester Canal was a vision of prosperity for the city's Georgian residents, and yet the venture was badly planned and underfunded. Saved by it's junctions to the Ellesmere Canal and the Mersey it went on to become part or the Shropshire Union and competed with the railways of the Victorian age. Here are some of the stories and pictures of its inception and it's life, its boats and its people. 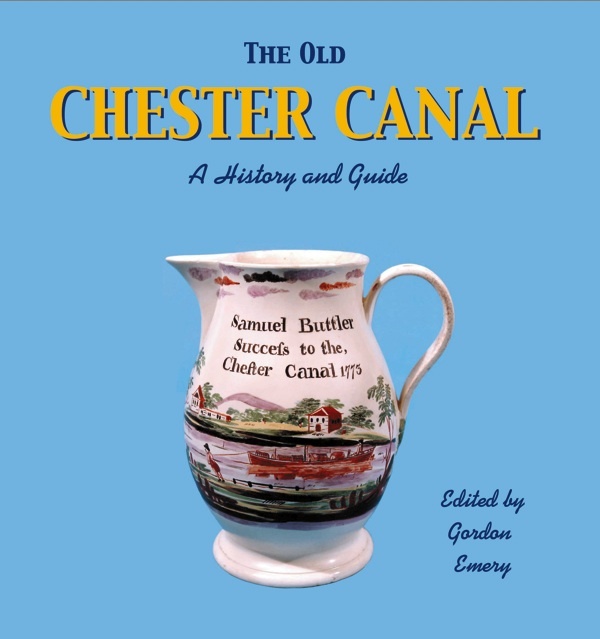 This book will appeal to anyone interested in Chester or England's inland waterways. It includes a 60 page guide to exploring the canal. Six authors have come together to write this book for the Chester Canal Heritage Trust. The history of one of England's oldest canals starts with a visit to Chester by the famous James Brindley, after the completion of the Bridgewater Canal. The Grand Trunk (Trent & Mersey) Canal was proposed and the merchants of Georgian Chester wanted to get in on the act. The book details information from the early surveys, the problems getting Parliamentary approval and the hard work involved cutting the canal inself. The original canal was never completed, and began to fall into ruin. But for the junction to the Ellesmere Canal, the link to Birmingham, and the formation of the Shropshire Union the canal would probably have become just an empty ditch. The story of the Ellesmere and Chester Canal as part of the SU is told. There is a chapter on boatbuilding in Chester, a detailed look at passenger carrying on the Chester Canal and the Wirral Line. Early flats and floats on this broad canal are described as well as a century of narrowboats. Terry Kavanagh's chapter on steam and motorpower looks at early steam tugs, narrowboat steamers, and locomotive trails on the Middlewitch branch. The book is rounded off with a 60 page walking and boating guide to the old Chester Canal. Some details of the many surveyors for the canal are given, and source material is listed. With over 150 illustrations, maps and plans including original invoices and accounts, many never-before published photos, transcriptions from the original minute books, and newspapers at the time, there is a wealth of information for everybody.